In Finland, the discussion around basic income has become serious during the last year, as Prime Minister Juha Sipilä’s government has an explicit intention to implement a basic income experiment during its period of rule. If the experiment will be implemented successfully, it can mark the way for using social experiments as a part of political reforms as well as inspire countries throughout the world to consider basic income as an option for a social security model. However, there is a risk to fail with the experiment if it is planned only from the perspective of modeling or risk analysis without considering the perspective of the people who will be the actual users of the system. Instead, basic income, as all political reforms, should be designed as a service and, as in all successful service-design processes, the final users’ perspective should be involved throughout the process. Although the used examples are from the Finnish system, the need for user-centered design can be generalized to be a justifiable aim in all public services regardless of the nation. User-centered design is a process framework in which needs, wishes and limitations of the final user lead the design process of the service from the very beginning (Usability First). Take a moment to think: What do you wish when you are in need of social support? What are your needs and expectations of the social security system? In Finland, people wish for a simple and understandable applying procedure, smooth service (Kapanen 2006) and better information about support that people are entitled to get (Hellsten 2004). In other words, they wish for a social security system that is easy to use for those, for whom and for the purpose that it has been designed to, so it has high usability (UsabilityNet 2006). A system, which is planned to answer these wishes, is more effective, efficient and satisfying. These three are indicators of usability and they measure how well the product is designed to reach its goals, how effectively the resources are used and what the user’s subjective experience of the product is (Usability First). The key question of user-centered design in public services can be distilled to the question whether the system has been designed in the terms of the system itself instead of the end user – in other words, the customers – of the system. By building the system around the user, it will reach the target groups better, save resources and lead to a more pleasant user experience, so the target is higher than only in fulfilling its basic functions. Basic income is a paragon of a public service reform in which adapting user-centered design is promising. 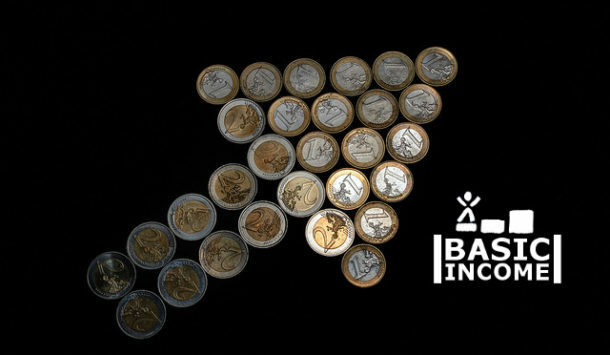 Due to basic income’s inherent goals and principles, it can be seen to be in line with the user-centered approach: it aims to reform the current social security system into a more effective, efficient and satisfying system. Why adapt user-centered design to public service design then? First, the users and their needs will be recognized. In public services, users are often divided into categories with their expected needs, which can prevent to see the complex needs that people have. For instance, in health care patients with both mental health problems and substance abuse can fall between two stools, when they have to be sober to receive help from mental health sector, but their mental health problems prevent them to benefit for detoxification. This system-based approach is neither user-friendly nor effective, and it does not base on the understanding of target groups and their needs, but administrational needs of the system. User-centered design can provide tools to understand who the users really are and what variating real-life needs they have. Second, the legitimation of public services can strengthen when they are planned to answer to the users’ hopes and needs. In Nordic countries, trust in the welfare system has been high so far, and paying taxes to fund partly universalistic and partly discretional system has been considered to be legitimate (Simic & von Wright 2013). However, dissatisfaction or disappointment in public services as well as widening social distance between people from different income classes can weaken the legitimacy of the social security system. As does neoliberal discourse, which aims at a smaller public sector instead of wider universal services. (Kajanoja 2016, 24.) Basic income is a reform that has not been implemented at the national level in any country yet, and as in all reforms, it is important that people accept and understand its goals. Taking end users into the process from the beginning and designing the system to respond to their needs, the reform as well as the social security system in general can strengthen their legitimacy. Third, a highly usable system aims to be more efficient both for end users as well as for those who provide and control the system. During economic crisis, rationalization of public services is one of the main efforts to balance public finance. Even if the reform to basic income would not decrease the costs immediately, in the long run it can reduce bureaucracy especially where it is used to control system users. Moreover, a social security system that is simple to understand and easy to utilize frees resources of users for more productive actions. When unemployed persons do not need hours every month to apply for social support – and do not need to stress about whether the support will be granted before the deadline of paying the rent ‒ they will have more time and energy, for instance, for seeking a job. It can seem that public services, such as social security, are too complicated systems with such a multitude of aspects that the final user cannot be in the focus. This is actually one argument why basic income is such a crucial reform: it tries to solve the excessive complexity of the system that makes the system too difficult to be used right. Second, the more complex a system is, the more challenging it is to fix it later, if problems with usability appear. As said, user-centered design does not mean that all other goals, such as prevention of social exclusion, balanced public finance or high employment rate, are neglected. Sometimes there are claims that a social security system should not be attractive to use. However, if the social security system is too hard to use right and too easy to use wrong, the system has been designed wrong. It is not effective and efficient, if people who are meant to get support cannot get it, because it is too difficult or takes too much resources. In the current system, the underuse of social security is a more alarming problem than misuse of it, which is also a sign of the ineffectiveness of the system (Kuivalainen 2007). In the context of basic income, the argument of making the system more difficult to use in order to lower its costs has no space, as basic income would be a universal support paid for everyone and then balanced by taxation. If the basic income system was designed to be unattractive for people, how would it reach the people in need, increase stability in their lives and free resources from bureaucracy? Regarding the Finnish basic income experiment, the first concrete step for adapting user-centered design is that people should start to be seen as active actors in political decision-making. The basic income discourse often includes the concern that people’s level of activity in the labor market cannot be controlled anymore. This is seen as a risk of freeloading or social exclusion. However, controlling people’s right to basic-level income is not the only way to do social politics, but functional social and healthcare services and labor policies can be even more effective. Of course, people have their limitations, but understanding both the needs and limitations of final users, the focus can be turned on how to make the system work in spite of those limitations. It is also a question of how the relation between the system and people is seen: are the people a challenge for the system, or is the system designed for the people? Second, both in political decision-making and in the design process, the principles of user-centered design should be implicitly presented as a part of the design processes, starting from recognizing the customer groups and mapping their wishes and needs to the communication and the feedback collection. The target to create a system that is as usable as possible should be at the core of the design process all the time, and actualization of this should be evaluated afterwards. In the brand-new strategy of the Social Insurance Institution of Finland (Kansaneläkelaitos aka Kela in Finnish), customer-orientation is one of the main aspects of improvement. In the strategy, users of the social security system are seen as customers who shall be involved in the developing processes of services (Kela 2016a). Because Kela is the main responsible for the research and modelling of the basic income experiment of Finland (Kela 2016b), the new strategy seems promising for the basic income experiment, not only in respect of basic income but also in respect of user-centered design of public services. Third, users of the service should be involved into the design process as early as possible so that systems are not designed only for users but with users. A good actualized example of this has been Basic Income Hackathon that was organized in Finland in March 2016. There was open applying process to the hackathon for basic-income-related ideas, and teams, that had been voted for online, substantiated and presented them to representatives of Kela. The best ideas were used as parts of the actual design process of the basic income experiment. This is an excellent example of how user-centered design is not only a way to create better services for users, but it can improve the whole design process by bringing fresh ideas and solutions to it. As a conclusion, basic income, as public services in general, should be designed as services by using a user-centered approach in order to ensure high usability of the system. In short, user-centered design is needed, because people cannot be changed to fit into the system – instead, systems should be designed to fit the people. For that, people instead of the system itself have to be in center. 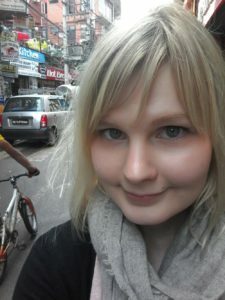 Silja Uusikangas is a social and public policy student from Helsinki, Finland. Last March she participated in Sitra fund’s basic income hackathon where her team created a communication concept for basic income experiment. The past year she has spent in Sweden and in Nepal. The featured image of money as an arrow from Flickr user Ervins Strauhmanis (CC-BY-2.0). Hellsten, Katri (2004) Mitä mieltä kansalaiset ja yhteistyökumppanit ovat Kelasta ja sen toiminnasta? Sosiaali- ja terveysturvan selosteita 32/2004. Kela. Kajanoja, Jouko (2016) Sosiaalipolitiikka. Historia, nykytila ja tulevaisuus. Helsinki: KSL Opintokeskus. Kapanen, Mikko (2006) Verkkokeskustelua Kelasta. Kela (2016a) Kelan uudessa strategiassa asiakaskokemus nostetaan kärkeen. 17.6.2016. Kuivalainen, Susan (2007) Toimeentulotuen alikäytön laajuus ja merkitys. Yhteiskuntapolitiikka 72. Simic, Nino & von Wright Julius (2013) Focus on the Nordic Welfare Model. Usability First. Introduction to User-Centered Design. UsabilityNet (2006) What is usability? Tagged Basic income, Universal basic income. Bookmark the permalink.